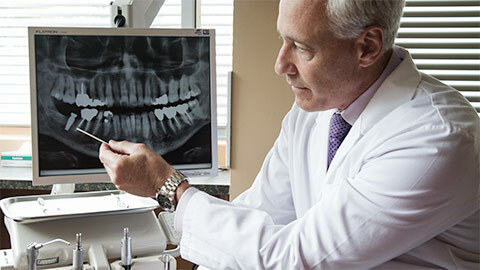 The loss of a tooth is often an unexpected and unfortunate event. Halifax dental implants can help you by closing the spaces in your smile and making you feel great about your appearance. 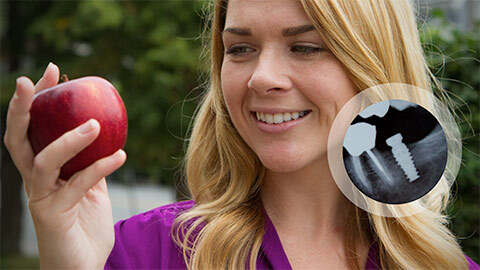 What is a dental implant? A titanium screw is fastened to your jaw, where it acts like a root. A high quality crown is attached to the root, giving you the look and functionality of a real tooth. We also offer mini-implants in Halifax. 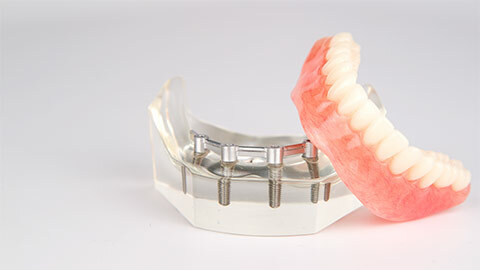 This process involves permanently fixing a set of dentures to your gumline to avoid shifting and displacement. Mini implants are placed on the bone ridge and attachments are inserted into the denture which snaps the denture firmly into place. This technique will stabilize the denture and restore proper daily function and confidence in your smile. The denture is easily removed daily for cleaning.